Water is life. So smart reporting on water issues is a vital public service, especially with the ever-growing demand on western watersheds. Luke Runyon covers the Colorado River, its tributaries, and the massive area dependent on its limited water resources. We quickly learn that the Roaring Fork River is connected with the snowfields of Rocky Mountain National Park, the canyons of Dinosaur National Monument, and the irrigated farmlands of southwest Arizona. These stories are part of a project covering the Colorado River, produced by public radio station KUNC and supported through a Walton Family Foundation grant. KUNC is solely responsible for editorial content. High snowpack in the southern Rocky Mountains this winter will likely stave off a shortage declaration in the Colorado River watershed in 2020, relieving pressure on water managers attempting to navigate future scarcity. 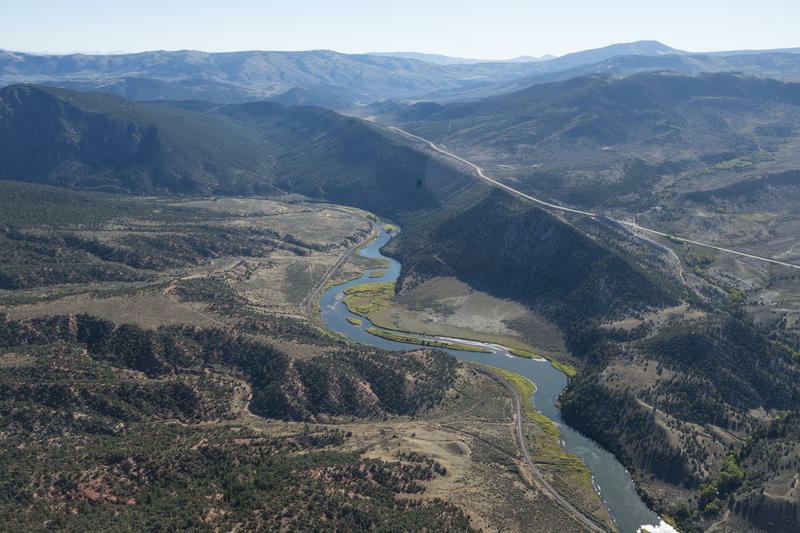 New data from U.S. Bureau of Reclamation models show a lessened risk of a key Colorado River reservoir dropping far enough to trigger a first-ever shortage declaration. Snowpack in the Upper Colorado River Basin is at 138 percent of the long-term median, a level not seen in mid-March since 1997. Water is again flowing through faucets in the Western Slope town of Paonia. Town administrator Ken Knight told residents at a meeting Tuesday evening enough water is being treated and kept in storage to return service to the more than 1,500 people who rely on the town for drinking water. Some residents have been without drinkable tap water for nearly two weeks after officials discovered leaks in water pipes. 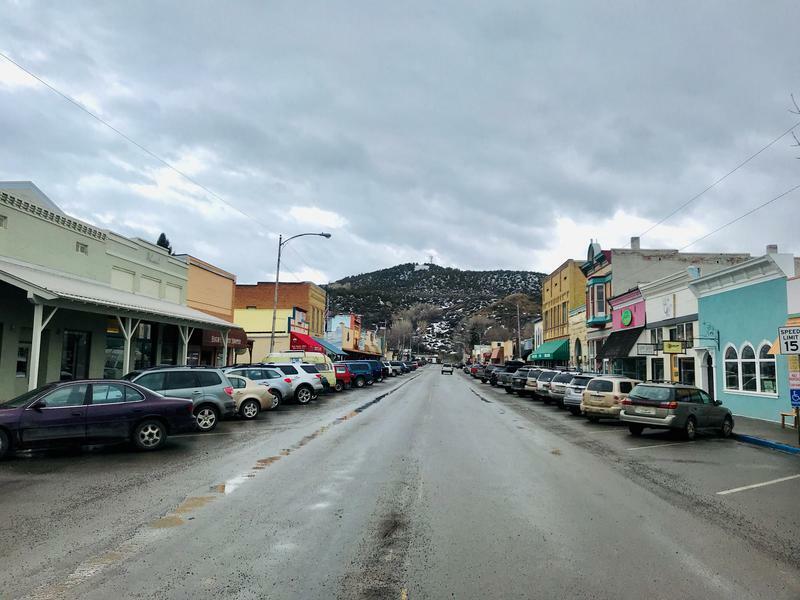 When Paonia resident Jon Howard went turn on the dishwasher last Friday morning, there was no water to clean the dishes. Same thing when he went to the bathroom, wanted to take a shower or fill up a glass from the kitchen sink. Following one of the hottest and driest years on record, the Colorado River and its tributaries throughout the western U.S. are likely headed for another year of low water. That’s according to an analysis by the Western Water Assessment at the University of Colorado Boulder. Researcher Jeff Lukas, who authored the briefing, says water managers throughout the Colorado River watershed should brace themselves for diminished streams and the decreasing likelihood of filling the reservoirs left depleted at the end of 2018. The briefing relies on data from the National Oceanic and Atmospheric Administration, the U.S. Geological Survey and the Natural Resources Conservation Service among others. In the foothills outside Longmont, Colorado, tucked high in a narrow valley, sits an ugly, cement slab. It's the size of a train car and juts out into North St. Vrain Creek, a shallow alpine stream that serves as the city's main drinking water supply. A tiny sign greets hikers as they pass the structure. It reads: "Chimney Rock Dam." A small arrow points to the right. What the sign doesn't tell you is how that cement slab ended up there. Reporter Luke Runyon covers the Colorado River - from its headwaters in Rocky Mountain National Park, to its path past the towering walls of Glenwood Canyon, to the Grand Canyon, and to the Colorado River Delta in Mexico. Last year, he covered a lot of water policy meetings, read a lot of data, and even met a "water sheriff." KDNK's Mark Duggan spoke with Runyon recently about some of the more memorable stories he covered in 2018 and what's on his radar for 2019. Among the first issues he'll explore is renewed attempts at cloud seeding to create more reliable rain and snow. On stage in a conference room at Las Vegas's Caesars Palace, Keith Moses said coming to terms with the limits of the Colorado River is like losing a loved one. "It reminds me of the seven stages of grief," Moses said. "Because I think we've been in denial for a long time." LAS VEGAS -- Water leaders throughout the West now have a hard deadline to finish deals that would keep the Colorado River’s biggest reservoirs from dropping to deadpool levels. The nation’s top water official is giving leaders of the seven states that rely on the Colorado River until January 31, 2019 to finalize a Drought Contingency Plan. The combination of multi-state agreements would change how reservoirs are operated and force earlier water cutbacks within the river’s lower basin states of Arizona, California and Nevada as reservoirs drop. Everyone Knows The Colorado River’s Top Agreement Is Flawed. Why Not Fix It? Colorado River water managers have plenty to argue about. But there’s one thing on which nearly everyone who relies on the southwestern river can agree. The foundational document that divvies up the water -- the Colorado River Compact -- has some big flaws. Discussion on how to fix the compact’s problems is where that consensus breaks down, often with the invocation of one word: renegotiation. The temperature is hovering right around 90 degrees the day Dale Ryden and I float down the Colorado River near Grand Junction, Colorado. The water looks so inviting, a cool reprieve from the heat, but if either of us jumped in we’d be electrocuted. “It can actually probably be lethal to people if you get in there,” Ryden, a fish biologist with the U.S. Fish and Wildlife Service, says. Water managers along the Colorado River are trying to figure out how to live with less. Climate change is growing the gap between the river’s supply, and the demands in the communities that rely on it, including seven western U.S. states and Mexico. The federal government recently released proposals called Drought Contingency Plans designed to keep the Colorado River’s biggest reservoirs from falling to levels where water is unable to be sent through the dams that hold up Lakes Powell and Mead. Colorado River Basin: Is There Water Left to Be Developed? Stand near a river and you’ll hear a symphony of sounds: birds chirping, frogs croaking and water flowing. But what would it sound like if the stream itself could be transformed into classical music? David Merritt, a Colorado-based researcher and musician, is helping answer that question by turning river data into music to hear how we’ve changed rivers throughout the West. Fear can be a powerful motivator. The mention of one plausible future scenario along the Colorado River is enough to make some water managers in the West break into a sweat. It’s called the Compact Call, and even though it’s never happened — and is years away from ever happening — its invocation conjures up dystopian imagery of a southwest battling over scarce water supplies. The effects of climate change are already being felt at the headwaters of the West’s most important river system, according to a study released earlier this year. 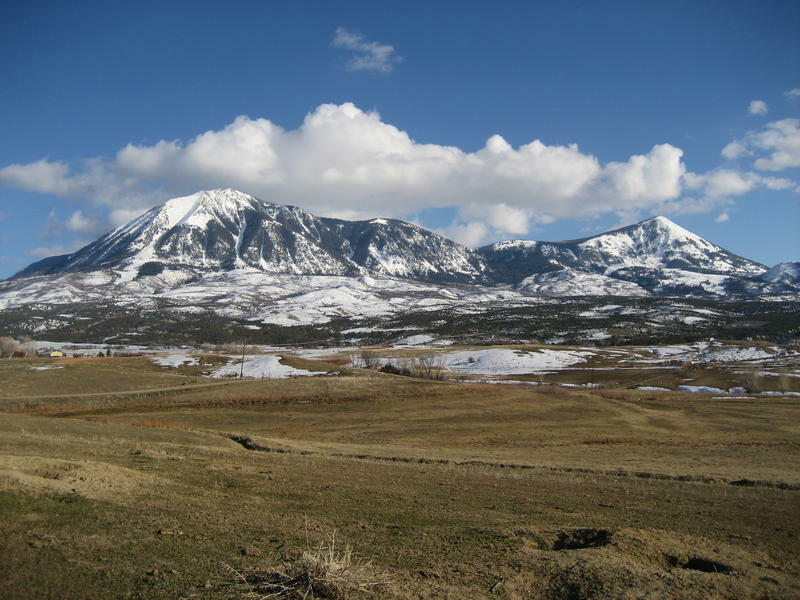 The Rocky Mountain Climate Organization compiled the latest science on climate change in the Colorado River headwaters in a report titled Climate Change in the Headwater: Water and Snow Impacts (PDF), presented to the Northwest Colorado Council of Governments in February. It’s 9 a.m. on a windy Saturday morning. Every now and then Dan Quintana -- in weathered work gloves and a ball cap -- raises up his shovel and slams it into the mud and matted willows that line the waterway that runs through his hay fields. His slight frame makes it easy for him to jump across the narrow ditch. 2018 wasn't the worst winter on record for the southern Rocky Mountain region, but it was close to it. “It was an extreme year on the dry side, widespread across the Colorado River Basin,” says Greg Smith, a hydrologist at the Colorado Basin River Forecast Center (CBRFC) in Salt Lake City. The West Is Notoriously Parched. So Why Not Make Water From Scratch? We’ve heard it before: The West just doesn’t have enough water to satisfy all the different demands on it. In Colorado, the majority of our water supply comes from mountainous snowpack, which melts each year to fill streambeds and reservoirs. But could there be another way?